We at times wonder how these failing businesses were able to secure so hefty loans and prime culprit being Kingfisher when worldwide aviation sector was bleeding sector. 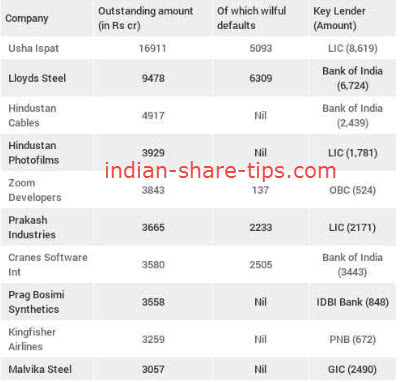 Check India's top 10 key loan defaulting companies with their key lenders in below screenshot. Get sure stock market tips here and start making money like professionals.